It’s so “Beary” Cute!! This Baby Bear Crochet Character Sweater is hot off my hook! I couldn’t resist the cuteness when I spotted this crochet pattern in the newest Yarnspirations Lookbook: Baby’s Day Out. Just as its title suggests, this particular Lookbook is filled with 13 knit and crochet projects for baby! Sweet clothing items, adorable hats, and much more! CHECK IT OUT HERE. All the patterns are FREE! Did I mention that the Bear Sweater only took me one evening to crochet?! Yes, it is super simple and works from top to bottom in one piece! Plus there are so many color combos you could choose from. You will use Bernat Softee Baby Yarn which comes in 35 shades! I love the softness of this yarn which is the best for baby’s sensitive skin. It’s also certified and approved according to the OEKO-TEX Standard 100 certification. This means it has been tested for over 300 harmful substances! AND it’s machine washable! SHOP BERNAT SOFTEE BABY YARN HERE. The picture below shows the main body of the piece completed. You will attache the yarn at the armholes to crochet the sleeves! It’s completely gender neutral and you could even leave off the bear embellishments if you want. I know some of you will be nervous about attaching buttons for the eyes. You could crochet circles for the eyes or like I mentioned, leave the accents off and you have yourself a cute striped sweater 🙂 I have visions of one of you making this sweater for twins! Pink and Blue? Purple and Turquoise? Possibilities are endless! There is a Kitty Character Sweater version as well among so many other patterns that I know you will want to get on your project list! Did you make the Crochet Character Sweater? Be sure to tag us on social media! Use hashtag #RepeatCrafterMe and #Yarnspirations in your posts! This bear sweater is just so adorable! Love it! good morning how do i get the free bear character pattern. If you scroll to the top, under the first picture is a link that will bring you to the pattern.Hope that helps! How adorable is this sweater. I am always looking for something to crochet for boys and I think my grandson would look adorable in it. 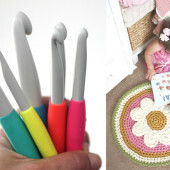 Sarah your site is my number one source when looking for something different to crochet. Thank you so much! Cannot get to the pattern, prompts invalid. At what point do you switch to smaller hook? 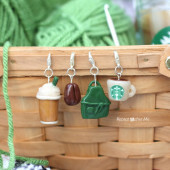 I came to look at the comments because I had the same question as the previous two crocheters – when do you change to the smaller hook? Since there was no answer here I watched the video that Mikey did on the Crochet Crowd site. He changed to the smaller hook when making the ears. Hope this helps! 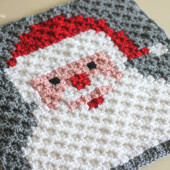 Hi, I also wondered that and found a video tutorial of the pattern on YouTube (think it was by the crochet crowd) they swapped to the smaller hook for the ears. Hope this helps. rnd” – this leaves a hole but I’m not convinced I should. I’m a beginner and struggling even with this ‘easy’ pattern. Thanks for your tips! I can not seem to get 124 at the end of row 9. I keep coming up short. Any ideas of wha I ,Ishtar be doing wrong? Indeed great article read it and get the process to remember passwords in micosoft edge. Hi I loved ur chracter sweater pattern n I started it for my 18 months grand son. But the problem is I started from 64 stitches and by the end of 11th row I am not getting totally 148 stitches. I tried it for two times but in vein, totally confused. Please guide me what to do??? Hi, just wondered how the ears have been attached? From the photo it looks as though they have been crocheted on rather than sewn. Has anyone tried this method, I would be interested in knowing how to do it. Thank you. This bear sweater is just so adorable. Love it. 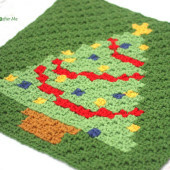 I am trying to make this, but I keep coming up short on the stitch count at the end of the 9th row. I see by the comments that others are having this problem as well. Is there an error in the directions? Which colors of this yarn did you use for your sweater? I thought I saw somewhere that it was taupe and white, but the yarn looks cream. Let me know. I love the pattern!